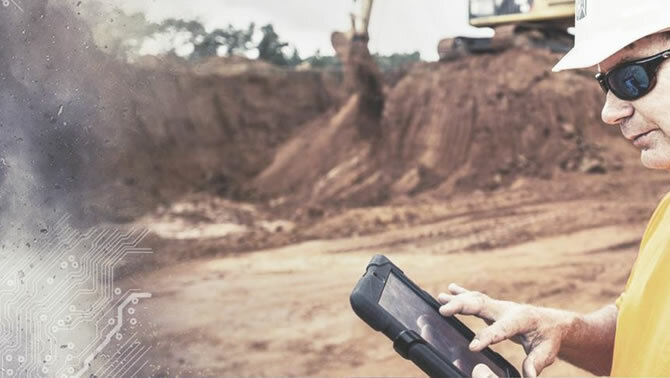 Doug Oberhelman, Chairman and CEO of Caterpillar Inc., envisions "...every machine, engine, truck, tablet, light tower, smart device and drone - will eventually share data on one common technology platform and speak the same language." — Photo courtesy Caterpillar Inc. Product Support Services that enhance the customer’s equipment investment and help maximize its value. The 6015B hydraulic mining shovel is built with class-leading speed and power and optimized to load the Cat 773, 775 and 777 trucks. At the news conference, Oberhelman also outlined how Caterpillar is different from competitors that are also focused on digital technology and connectivity. “First, we’re already doing it. We have approximately 400,000 connected assets and an installed base of three million machines and engines at work around the world today. That foundation gives us a head start, and we’re building on it.